This is a printable Christmas card template...you can choose a black and white xmas card template or a colorized xmas card template. 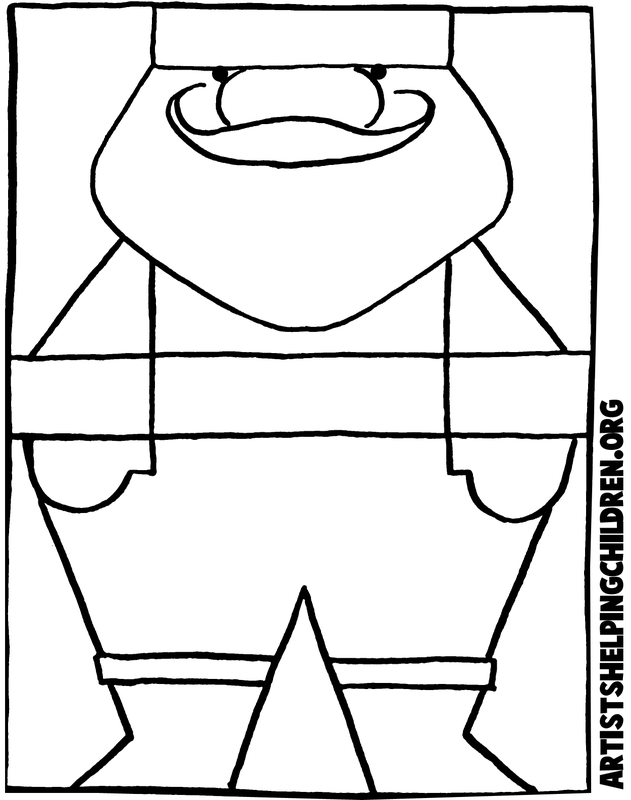 Then just color it in (unless you printed out a color template), cut out the rectange, and then fold it in the center so that it stands up like the one pictured above. Then write a message on the inside of the card...like 'Merry Christmas' or whatever you choose to write. Splatter Painted Christmas Cards - Make a snowy Christmas card by splatter painting white paint on a dark background with a tooth brush. 3-D Snowball Card : Make Christmas Cards Craft for Kids - Send your friends a cool 3-D snowball card. 3-D Greetings - Send holiday greetings to family and friends with a 3-D Christmas tree or Dreidel card. A Christmas Winter's Night - Learn how to make your own Christmas cards by following these instructions. Blue Snowflakes Card - This tutorial will show you how to make a beautiful blue snowflakes greeting card. Brightly Beaded Christmas Tree - Learn how to make a Christmas tree greeting card that is decorated with beads. Button Embellishment Card - Use your decorative buttons and a cardstock patterned paper to send friends and family Christmas greetings. Candy Cane Scallop Card - Find out how you can make a candy cane scallop Christmas card like this one! Changing Faces Snowman - Make a fun Christmas card where the recipient can change the faces of the snowman. Christmas Candles Card - Brighten up someone's holiday with this beautiful Christmas candles card. Christmas Candy Cane Card - This tutorial will show you in detailed steps how to make a candy cane shaped Christmas card. Christmas Card With Beaded Tree - Find out how you can make this beautiful and elegant Christmas tree greeting card. Christmas Cat Card - This cute Christmas cat card is the perfect card to give someone who loves cats. Christmas Gingerbread House Card - Learn how you can make this amazing Christmas gingerbread house card. Christmas Lights Card - Easy card decorated with lights. Christmas Puppy Card - Make this adorable Christmas puppy card for someone special! Christmas Tree Card - Kids can easily make this decorative Christmas tree greetings card. Christmas Tree Card - Send your Christmas greetings in a beautiful Christmas tree greeting card. Christmas Tree Cards - Learn how to make personalized Christmas tree cards in a few steps. Christmas Tree Pop-Up Card - This is a clever Christmas tree pop-up card for all ages. Corrugated Christmas Tree Card - This is an easy Christmas tree card that your kids can make. Eyelet Christmas Tree Card - Make a Christmas tree card for someone special. Fabric Edged Card - Use fabric cutouts to make very beautiful Christmas cards. Fabric Shape Card - Make fun and easy homemade Christmas card using fabric shapes. Falling Snowflake Christmas Card - Make this beautiful falling snowflake Christmas greeting cards using a design cardstock, white paper, and other materials. Family Sledding Card - Personalize your Christmas cards with a picture of your family sledding! Frosted Snowflake Baby Pink Card - Find out how you can make a frosted snowflake baby pink card like this one. Frosted Christmas Trees - Decorative card for Christmas. Frosty Card - Follow these instructions to make a homemade frosty Christmas card. Giant Snowflake Card - Follow these instructions to make a giant glittery snowflake card. Glitter Christmas Tree Card - Use one of our Christmas cards templates and glitter to create an amazing Christmas greeting card. Glitter Glue Card - Children can use their own imagination to make Christmas cards for family and friends. Glittery Shape Card - Learn how to make a Chrismas themed card with alot of glitter! Golden Carol Singing : How to Make Christmas Cards Instructions - Learn how to make a cool Christmas card with music notes on it. Green Tinsel Heat Embossed Christmas Tree Card - This Christmas tree card craft is perfect for you if you know how to head emboss. Greetings 4 You - Children can use Crayola products and their imagination to create their own Christmas greeting cards. Happy Holidays Card - This is an easy and fun Christmas greeting card tutorial. Holiday House Card - Send a personalized family Christmas card to your friends and extended family. Holiday Lights Card - Light up someone's holiday with this festive card with candles. Holly Bauble Christmas Card - A fun and easy holly Christmas greeting card. Holly Leaf Card - Learn how to make a simple holly leaf Christmas greeting card. Initial Christmas Card - Learn how to make a quick and easy Christmas card using only an initial. Jack Frost's Baby Blue Holly - Find out how you can make a Jack Frost's baby blue holly Card like this one. Jingle Bells Card - Make a simple jingle bell Christmas card with your children. 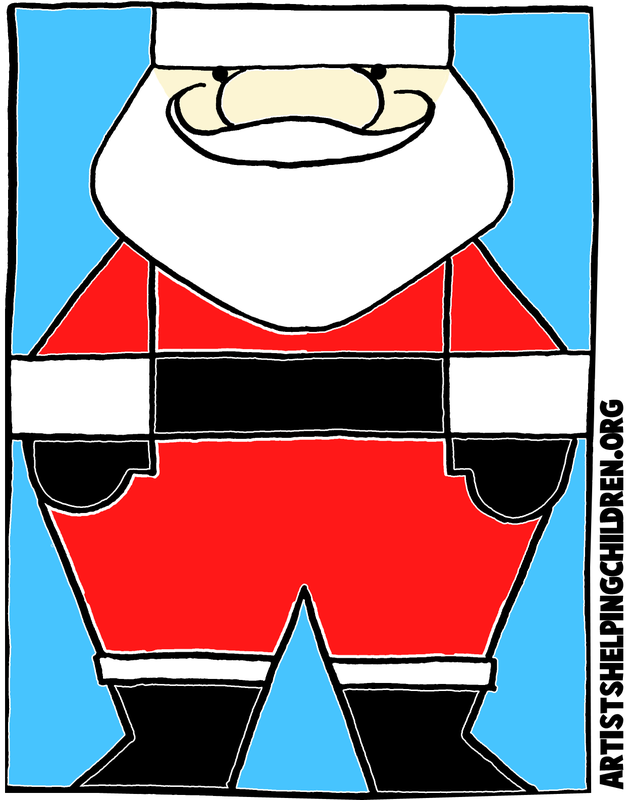 Joyful Tidings - Follow these instructions to make a joyful snow man greeting card. Joy To The World Card - Send love ones an elegant homemade Christmas card this year. Leaf and Teabag Christmas Card - Spread the joy of this festive season with this adorable leaf and teabag Christmas card. Little Package Thank You Card - This Christmas greeting card looks like a little Christmas present! Love Birds Christmas Card - Learn how you can make this beautiful love birds Christmas card for your significant other! On This Night Card - This is a great Christmas card craft to do with your children. Ornament Card - Send your family and friends your family picture Christmas card that then can hang on their Christmas tree! Pinecone Christmas Tree Card - Find out how you can create a beautiful pinecone Christmas tree card and ornament. Plum Ribbon Jingle Bells - This craft tutorial will show you how to make a beautiful handmade plum ribbon jingle bell Christmas card. Postage Stamp - Create a postage stamp Christmas card to send your family and friends. Pretty Violet Glitter Snowflake Card - Find out how you can make your own Christmas cards. Purple Frosted Holly Card - Learn how to easily make a winter frosted purple Christmas holly greeting card. Retro Christmas Tree Card - Find out how to make a retro looking greeting card decorated with Christmas trees. Ribbon Diecut Card - Make a beautifully made ribbon die-cut Christmas card. Ribbon Picture Card - This Christmas card is simple and fun for Christmas to make. Santa Handprint Card - This is a fun and messy Christmas card craft for the little ones. Season's Greetings Card - Send season's greetings to your family members and friends with a personalized Christmas card. Shapes Tree Christmas Card - Learn how to make a homemade Christmas card with tree shapes. Shining Star Christmas Card - Follow these instructions to make a beautiful shining star Christmas card. Silver Stars Christmas Card - This handmade Christmas card with silver stars is a fun craft for kids of all ages to make with mom and dad. Simple Merry Christmas Card - Follow these instructions to make a very simple but yet beautiful Christmas greeting card. Snow Angel Christmas Card - Find out how you can make an unusual snowman angel Christmas card. Snowman Christmas Card - Learn how to make this amazing snowman Christmas card! Snowmen Couple Card - Make this cute snowmen couple Christmas card for someone special in your life. Snowman Reclaimed Wrapping Paper Card - Make a snowman Christmas card from a reclaimed Christmas wrapping paper. Snowy Window Cards - Kids will have a fun time making snowy window cards for everyone! Sponge Painted Tree Card - Kids will love making a Christmas card using the sponge paint technique. Stripy Christmas Card - Find out how to make a simple homemade Christmas card you will be proud of. Star, Button and Sticker Christmas Cards - Make cool Christmas cards using buttons laying around your house. Snowflake Christmas Card - Find out how you can make a homemade snowflake Christmas card like this one. Snowflake Season's Greetings Card - Make this Christmas greetings card using a greeting card, white card, blue card, rubber stamps and other materials. Snowflake Ribbon Card - Learn how to make a very pretty snowflake Christmas card. Sparkly Violet Holly - This Christmas make a Christmas card from your heart instead of buying it. This tutorial will show you how! Tartan Ribbon Tree Card - Use simple craft materials to make a beautiful tartan ribbon tree Christmas card. Thank You Note Card - Send everyone a card thanking them for your Christmas presents. The Folded Card - Learn how to make a wonderful Christmas card displaying your family photos. 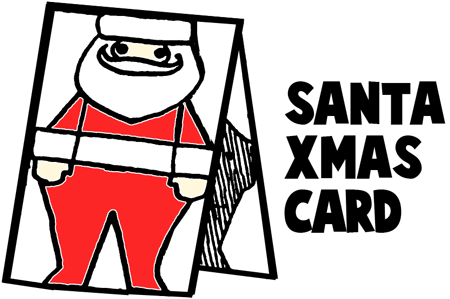 'Tis The Season Cards - This tutorial will show kids everything they need to know about making handmade Christmas cards. Tree Card - This craft tutorial will show you in steps how to make a Christmas tree gem card. Very Beady Christmas Pudding - This is a fun and easy pudding Christmas card craft for Children.